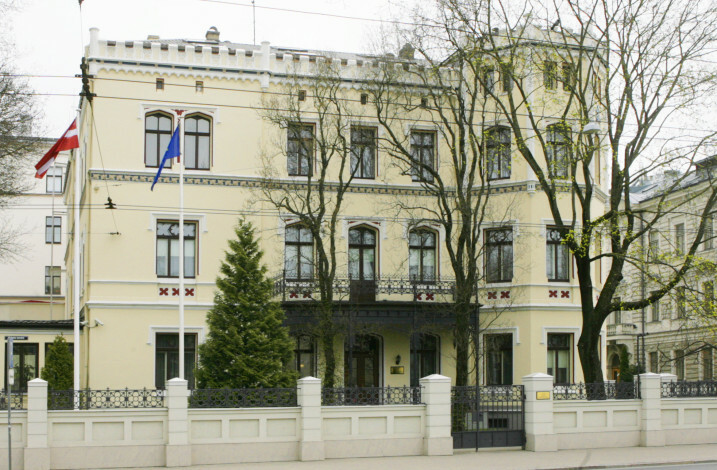 The building, where the Constitutional Court is housed, was constructed in 1872 as a residential building. The construction of the building was commissioned by Emil von Boetticher, the Mayor of Riga, and it was designed by architect Friedrich Wilhelm Hess. Maria Boetticher, the owner of the building, repatriated to Germany in 1940. Later the building was transferred in the use of the Executive Committee of Riga City Ziemeļu District. Since 1998 the building has been registered in the Land Register as the property of the State, represented by the Constitutional Court. The building is an architectural monument of local importance, located within the territory of UNESCO World Culture and Nature Heritage Site – the Historical Centre of Riga. The entry by the President of the State Guntis Ulmanis in the Guestbook of the Constitutional Court upon opening of the building of the Constitutional Court on 5 March 1999.